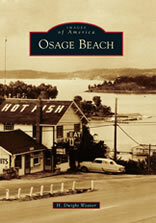 This nostalgic book on the history of Osage Beach, a town originally known as Zebra, presents more than 225 vintage images of the community during the period 1880 to 1980. Today, twin bridges carry U. S. Highway 54 across Lake of the Ozarks at the center of Osage Beach. Before the 1980s there was just one bridge, a historic span known as the Upside Down Bridge. 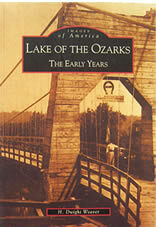 The book presents a series of vintage photos that show the construction of the original bridge and then takes readers on a roadside trip east and west of the bridge to acquaint them with the landmark resorts and attractions that welcomed visitors to the lake's most dynamic recreation area from the 1930s to the 1970s. Step back in time and see Osage Beach as it was in your parents and grandparents time before the arrival of condos when country music shows, rodeos, frontier theme parks and square dancing complimented fishing and boating as the focus of family entertainment. Most of the rock cottages, log cabins and businesses of the period featured in the book are now gone but this book preserves their images and legacy. There are many places in the Missouri Ozarks noted for their beauty, intrigue, romance or history but to have it all in one place is pure magic. At Ha Ha Tonka State Park the natural wonders and curiosities are blended with cultural artifacts in a most intriguing way. People who discover this gem of springs, sinkholes, natural bridges, caves, cliffs, woodlands, glades, savannas, hills, hollows, lakes, trails, boardwalks, outlaw history and the ruins of a spectacular castle usually return again and again. Missourians have made it one of the state's most treasured parks. It is located on the Niangua Arm of Lake of the Ozarks where Daniel Boone and his son Nathan once trapped beaver and the Osage Indians lived. Very few books have been written about this retreat with its beautiful Indian name. 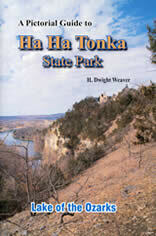 This guidebook takes you on the trails of wonder and history that comprise Ha Ha Tonka State Park. If you've never been there, it'll make you want to go. If you have been there, it will probably reveal treats that you missed in past visits. The book contains more than 325 images and many of them are vintage photos that peel away the years to reveal Ha Ha Tonka's unique past. Lake Ozark, Missouri, is a city along the edges of Lake of the Ozarks and Bagnell Dam Boulevard. The Boulevard, steeped in 80 years of history, stretches for three miles and is strewn from end-to-end with buildings of all kinds, compelling attractions, and businesses needed to support one of the largest recreational playgrounds in the Midwest. How the Boulevard and its built environment came to be is the story this book tells in photos and text. 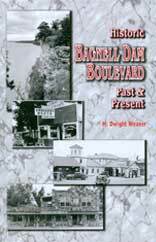 The book doesn�t just celebrate the old and almost forgotten places along the Bagnell Dam �Strip� and the rest of the Boulevard but also preserves images of the recently built and very new. This is a one-of-a-kind guidebook. It goes door-to-door as your travel the Boulevard, exploring the history of the roadside with a collection of nearly 400 images accompanied by text. Some of the images are rare and have never before appeared in print. The book is a souvenir of the past and present. This information-packed book is a key reference to the history and geography of the 2,500-square-mile Lake of the Ozarks region. Topics are in an easy-to-use format, arranged alphabetically A to Z like in an encyclopedia. The book is illustrated with more than 100 photographs, well indexed, and explores the history of many of the area�s early fishing camps, resorts, roadside attractions, bridges, car ferries, towns, people, places and events. There are detailed descriptions of caves, springs, bluffs, hollows, lake coves and other geographic features. It is the first volume of the �History and Geography� series being written by the author. See the contents page to learn how this and future volumes of the series are laid out. �It�s a fascinating read � you can literally start anywhere you open the book, and jump around to whatever catches your interest. No matter where around the 1,000 miles of shoreline, there�s something here to read about.� Lake of the Ozarks Business Journal (Dec. 2005). Volume Two of the �History and Geography� series presents more than 100 new historical narratives about the Lake. Subjects are presented alphabetically A to Z. Book highlights include histories of the Bagnell Dam Strip, the cities of Osage Beach and Laurie, the early villages of Duroc and Proctor, the notorious Pistol Club of the 1930s, and the story of dining and dancing at the Dam in the 1930s. The saga of Horseshoe Bend includes histories of 33 family resorts that thrived on the Bend from 1955 to 1975. Volume Two recounts the story of the filming of a scene for the 1938 Twentieth Century Fox movie �Jesse James� in which horses and men leaped from a bluff into the Lake along Shawnee Bend. 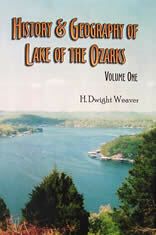 It explores the successes of Joe Dice, the early 20th century swinging bridge builder of the Osage River valley; and details the life and times of Dr. Guss Salley, a native of the region upon whose tombstone are carved the words �Magician, Physician, Politician.� The book also features unusual rock formations and natural wonders along the Lake as well as many other topics. More than 250 photos, maps and other illustrations bring this volume of the �History and Geography� series to life in a special and memorable way. This photo-essay book contains more than 200 fascinating vintage photos. Watch the construction of Bagnell Dam unfold in dramatic scenes with informative text as you explore the beginning chapter; then visit the villages and towns around the Lake of the Ozarks. See them as they appeared in the Depression days of the 1930s, the rationing years of World War II, and then in the nostalgic mom and pop roadside attraction years of the 1950s and 60s. The text follows U. S. Highway 54 from Eldon to Camdenton to Ha Ha Tonka and then travels Highway 5 north from Camdenton to Versailles. Images depict the roadside businesses along these highways in and near the towns of Eldon, Tuscumbia, Old Bagnell, Lakeside, Lake Ozark, Osage Beach, Camdenton, Hurricane Deck, Gravois Mills and Versailles. See Old Linn Creek before it vanished beneath the waters of the Lake. 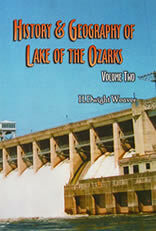 The book also explores the beauty and wonders of Ha Ha Tonka State Park, the Lake�s most outstanding natural wonder. Thirty vintage images reveal the magic of Ha Ha Tonka with its natural bridge, castle ruins, bluffs, caves, spring and giant chasm. This photo-essay book is the sequel to �The Early Years� book. It is a companion book featuring more than 200 additional vintage images of the Lake area from the 1930s to the 1970s. It also visits the historic towns of the Lake, featuring other early fishing camps, resorts, bridges, caves, springs and many additional sites. Early attractions featured include the Ozark Water Ski Thrill Show, Austin Wood�s Nashville Opry Show, Phantom Acres, the Ozark Opry, square dancing, trail rides, Bob Noland�s Country Music Hall, the J Bar H Rodeo, show caves and the surviving smelter of the old Osage Iron Works, which dates to the 1870s. See rare images from the vanished town of Damsite, a construction workers town that existed below Bagnell Dam from 1928 to 1931. See rare images of Charles Lindbergh�s visit to the area when Bagnell Dam was being built. Historic Ha Ha Tonka is visited again in this book with images different from those in the �Early Years� book. In addition, a visit is paid to Warsaw, the land of swinging bridges at the headwaters of Lake of the Ozarks. While this book does mention some caves found in the Lake of the Ozarks region, it primarily explores the history of Missouri caves statewide. The book records a cultural heritage stretching from the end of the Ice Age to the 21st century. The author takes readers underground to shed light on the historical significance of Missouri caves and correct misinformation about them, and describe ways in which people have used and abused these resources. Chapter titles include: Ice Age Bones; Prehistoric Times; Spooky Burials; Saltpeter and Gunpowder; Bear Hunting; Farm and Home; Beer and Moonshine; War and Outlaws; Onyx Mining; Guano Mining; Buried Treasure; Picnics and Parties; Show Caves; Cave Men and Cave Women; Changing Attitudes; Organized Caving; The Mystique of Caves; and the 12 Cave Regions of Missouri. 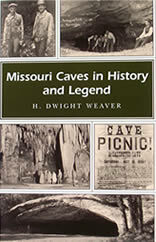 Few authoritative books on Missouri caves exist and this book is a must for the library of anyone interested in caves. Go underground and explore the history of these dark places that lurk in the hills and hollows of Missouri, a state with more than 6,200 recorded caves. H. Dwight Weaver has lived at Lake of the Ozarks for 50 years. In the decades before retirement from the Missouri Department of Natural Resources in 2000, he authored five books on Missouri caves. His most recent book on caves � Missouri Caves in History and Legend � was published in 2008 by the University of Missouri Press. 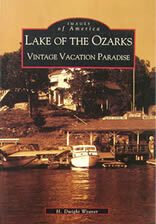 Since retirement he has published seven books on the history of Lake of the Ozarks. He is widely recognized as an authority on both Missouri caves and Lake of the Ozarks history. His most recent books are featured on this website. Dwight is a fellow of the National Speleological Society and past president of the Missouri Speleological Survey. He is a member of the Camden and Miller County historical societies. He is a columnist for the Lake of the Ozarks Business Journal and serves the state on the Missouri Board of Geographic Names. 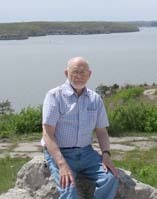 He has been the recipient of various regional and national writing awards and was presented with the 2006 Historical Preservation Award by the Eldon Chapter of the National Society of the Daughters of the American Revolution for his efforts at preserving the history and images of the Lake of the Ozarks area. In May 2012, he was given the Distinguished Citizen award by the City of Lake Ozark, Missouri, for documenting, recording and preserving local history; and recognized by the Bagnell Dam Strip Association and the Lake Ozark Betterment Committee for his many selfless contributions to the preservation of the history of Lake Ozark, Missouri, and the surrounding Lake area. These achievements also earned him the 2015 Exemplary Community Achievement Award from the Missouri Humanities Council. He was also presented with the 2015 Peter M. Hauer Spelean History Award by the National Speleological Society for a lifetime of work documenting and preserving the history of Missouri caves. Website Copyright © 2004-2009 by Osage Valley Trader.